The PMP (Project Management Professional) is an internationally recognized certification and the PMP Exam is conducted by the PMI (Project Management Institute). The exam includes multiple choice questions that test the professionals knowledge and experience on the five process groups and ten knowledge areas. Before to get the exam, practicing with sample questions provides you a general understanding on the question types. In this article we discuss some of the common PMP Exam Questions that help you to pass your PMP exam. All the questions are multiple-choice and each question type is tests your knowledge and experience in the field of project management. Formula based questions of the PMP Exam necessitates knowing formulas to solve. You need to understand each formula to improve your decision making. Below are some of the examples. Question 1: What is the total number of potential communication channels in a project which involves 25 stakeholders ? Answer 1: Below formula is used to calculate the total number of communication channels. n = number of stakeholders. Question 2: A project has a 65% chance of a $120,000 profit and a 35 percent of a $150,000 loss. Calculate the Expected Monetary Value for the project. Answer 2: Expected Monetary Value = Probability × Impact. We will calculate both positive and negative values to calculate the EMV. You are assigned as the project manager for an ongoing construction project where 50 villas are to be build over 20 months. The budget of the project is $25,000,000. 12 months have been passed, 20 villas have been built and $14,000,000 have been spent. Calculate the Cost Performance Index (CPI) of this housing project. 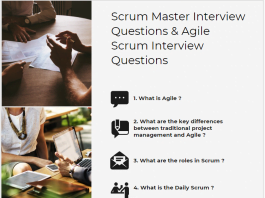 Situational questions involve real-life project management situations to test your ability and knowledge. You need to identify what is behind the given situation and apply your expertise. While solving situational questions, choose the best among several correct answers. Here below you can find an example question. 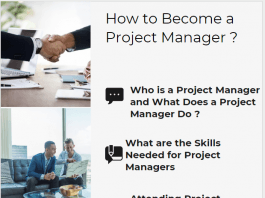 You are employed as a project manager for an ongoing project. 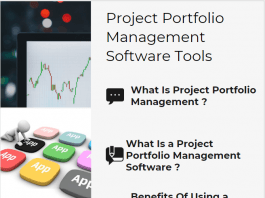 When you analyzed the project documents, you realized that the Project Charter which describes the responsibilities and authorities of the project manager is missing. You talked this issue with the project sponsor and he told you that they executed many projects without a project charter. He also told that if it is an essential project document, you should prepare it. Where can you find a template for a Project Charter ? Organizational Process Assets involve templates for project documents. However your company has never created a project charter before, you cannot find a project charter template by checking the Organizational Process Assets. You can find this template in websites or internet which are included in Enterprise Environmental Factors. Knowledge-based PMP exam questions test your knowledge on basic project management concepts. Most of the answers are based on the PMBOK Guide. 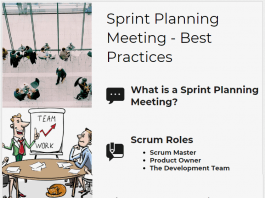 You should know basic concepts such as project management processes and knowledge areas, project management methodologies, tools, techniques etc. Question 1: Which of the following is true for a Program ? The correct answer is “C“. Question 2: Reserve Analysis is used for which of the below processes ? The correct answer is “D“. Early Start (ES) of an activity is 4, Late Start (LS) is 14, Early Finish (EF) is 11, and the Late Finish (LS) is 21. Which of the following is true for this activity ? D. Activity is not on the critical path. When you subtract the late dates from the early dates (LS-ES or LF-EF) you will see that the total float of the activity is 10. So the activity is not on the critical path. Correct answer is “D”. An interpretational PMP Exam question provides you a situation and tests if you can select the best option. For instance, a question may provide you a schedule performance index of a project and ask you about the performance of the project. 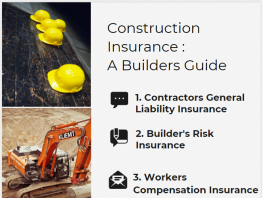 If the Cost Performance Index (CPI) of a construction project is greater than 1, how well the project is performing ? D. The project is on budget. The Cost Performance Index (CPI) demonstrates the cost efficiency of a project. If the CPI is greater than 1, you spend less than you planned so the project is under the budget. Most of the PMP Exam questions test your knowledge and expertise on the specific project management techniqes. However there are some questions particularly test your understanding of how a technique is applied. For instance you may be asked how to perform forward and backward calculations to calculate the critical path of a project. Question 1: The project team will report the minimum project duration to the project manager. Below is the network diagram of the project schedule. 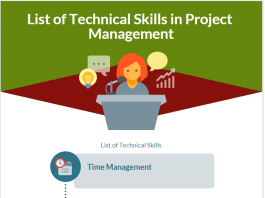 Which of the following durations should the project team report to the project manager? Answer 1: The project team will perform forward and backward calculations to calculate the critical path and the minimum duration of the project. 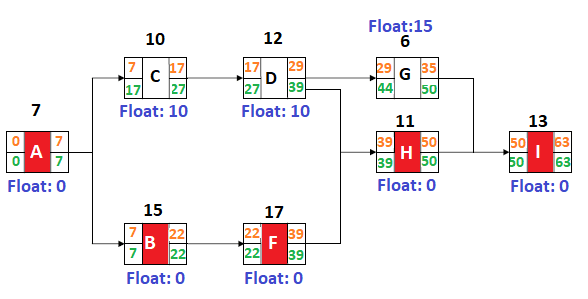 In this example, the path Start-A-B-F-H-I has the longest duration and is the critical path of the schedule. The correct answer is “63” days. 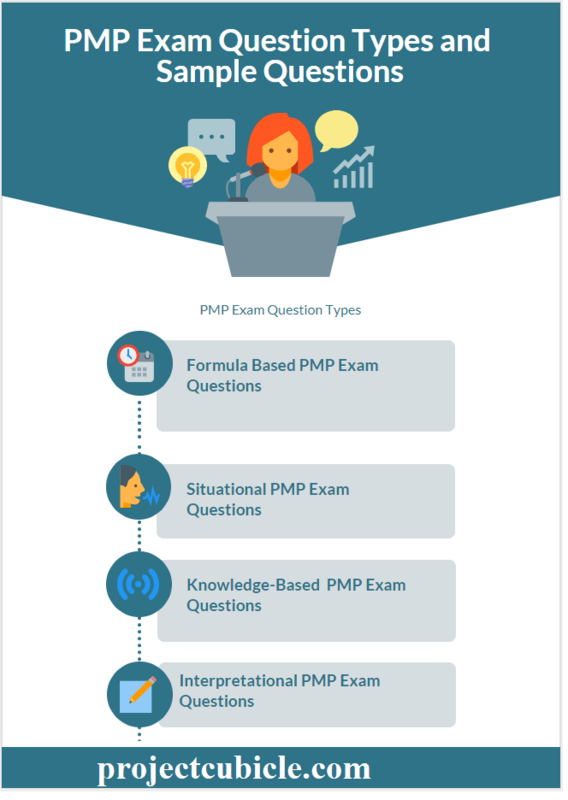 In this article we discuss different types of PMP Exam Questions. If you want to pass the exam you need more exam preparation. During the exam, read the questions carefully and control your stress to avoid mistakes. Understanding question types will help you to develop your own strategy to give correct answers.